Marc Lottering is hosting some of Cape Town’s funniest women this July(5-11) for ONE WEEK ONLY at the Flipside @ The Baxter. Experience how women see the world in this stellar collection of some of the city’s funniest woman all gathered in one place for one hilarious week only. 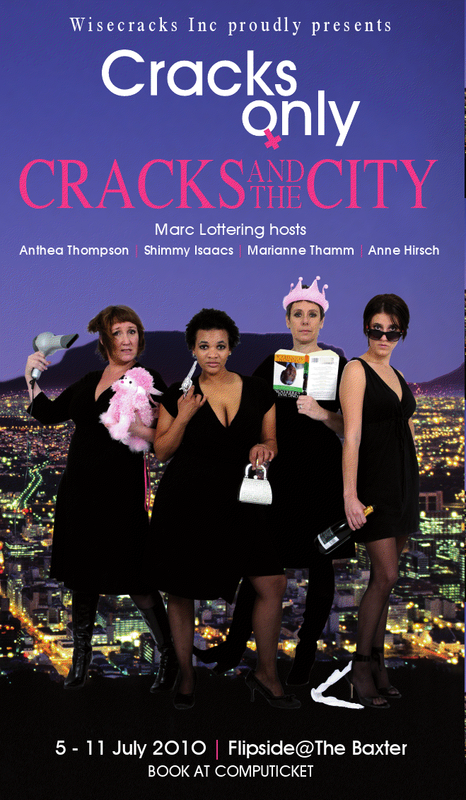 Honorary “crack” Marc Lottering features alongside award-winning comic actress, Anthea Thompson, two young actresses whose comedy stars have risen, Shimmy Isaacs and Anne Hirsch as well as veteran award-winning columnist Marianne Thamm. There will be laughter. There will be applause. There will be drinks at the bar. There will be chatting. There will be hugging. There will be seats. There will be a stage. There will be comedians. There will be some mics. There will be a set. There will be lights. There will be sound. There will be a restaurant upstairs. There will be famous people. There will be non-famous people. There will be ushers. There will be tickets. There will be Marc Lottering. There will be Shimmy Isaacs. There will be Marianne Thamm. There will be Anthea Thompson. There will be Anne Hirsch. There will be you. Feel it. It is there! 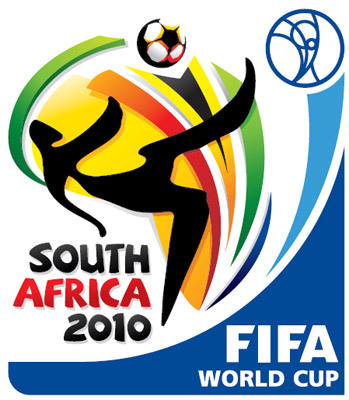 World Cup Calender – Philiep it’s here! Go check out all the games on this rad WC Calender. Scroll around and have fun it’s awesome…hours of entertainment with you mouse. Disclaimer: The above image is used illegally and Annehirsch.co.za will be held personally responsible for using it as well as the words ‘world cup’, Philiep’ and ‘mouse’. The Stage Theatre and performing arts school in Tygervalley has fast become a gem for theatre especially for comedy. Catch a jam of a comedy evening there this Friday with Jam Jars, Comedy Jams and hopefully no Traffic Jams. 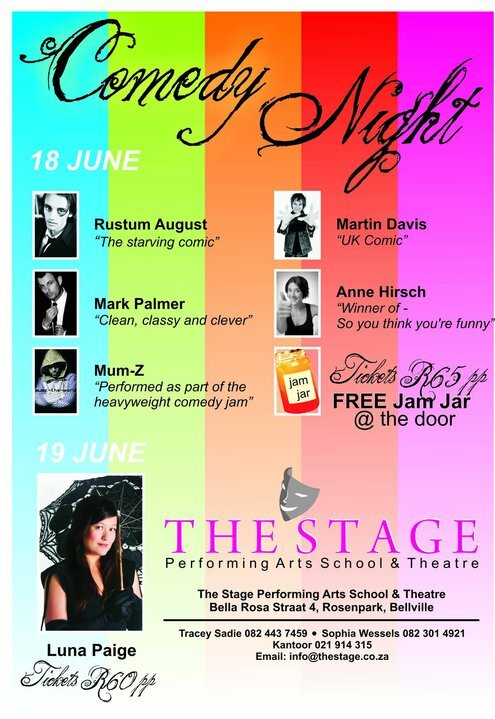 The line-up includes Martin Davis (UK), Mark Palmer, Mum-Z, Anne Hirsch (that’s me) and Rustum August. Book @ 0823014921. And in the words of Bob Marley…We’re Jammin and we hope you like jammin too!! Someone insisted I watch this new series called: Manstrokewoman, a new British comedy series. So I set off to DVD Nouveau in Bree Street – which is a super duper DVD shop apart from a very intimidating man that sometimes works there- so I watched it, from beginning till 2am in the morning. Then I watched it again last night with audio commentary on- ‘a little sad’ I hear you clamour. Absolutely brilliant. Here are some sketches from season 1 and 2. I haven’t seen season 2 yet, any hints on where to get it, contact me asap! I saw this on Ellen a while ago and came across it again. 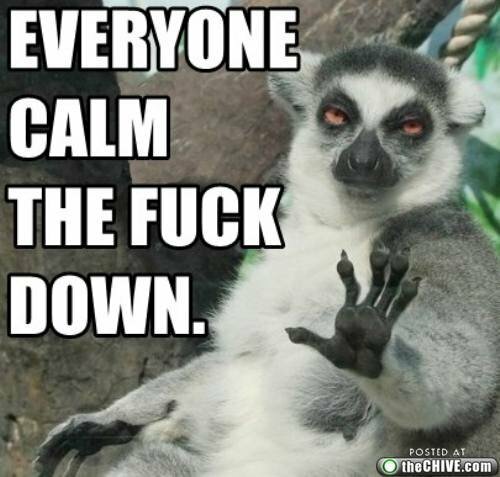 Imagine that thing in parliament? Brilliant!! Local comedy at it’s best. MC: MARTIN DAVIS- UK comic. The comedy starts at 19:30 and bookings are encouraged to avoid dissapointment. Tickets R95 / R75 students, pensioners or block bookings of 10 or more. Delicious food menu and drinks specials. SAFE PARKING!